Ready to say hello to summer by exploring a slice of the natural world? Take advantage of a free visit this weekend to one of a hundred U.S. national parks that usually charge an entrance fee. On June 5 & 6, you can get into any national park free of charge, including the biggies like Yellowstone and Yosemite that typically cost $20 per vehicle for a day’s admission. There are several more free-admission days coming up in 2010; mark your calendar for Aug. 14-15, Sept. 25 (Public Lands Day), and Nov. 11 (Veterans Day). While it’s always a delight to spend an impromptu day in a national park, consider taking advantage of one of the affiliated field institutes to expand your learning and hone your backcountry skills. These non-profit organizations work with in cooperation with the park service to enhance visitors’ encounters with the natural world through high-quality educational experiences led by professional scientists, authors, historians, artists, and adventurers. Examine Native American rock art on a hike with the Canyonlands Field Institute. Learn to track wildlife in Denali National Park with the Alaska Geographic Institute under the tutelage of a license trapper and hunting guide. Study everything from wilderness first aid to wild medicinal herbs on an outdoor adventure seminar with the Glacier Institute in Glacier National Park. Want to tackle a challenging expedition with Natural Habitat Expeditions but feel like you need to develop your backcountry prowess further? 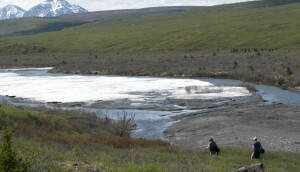 Consider a backpacking field course with the Yellowstone Association Institute. Participants learn packing techniques, minimum-impact camping and wilderness survival skills in the iconic landscape of America’s first national park. Got kids? 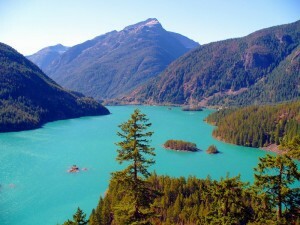 Nurture their budding bond with the natural world on a Family Getaway with the North Cascades Environmental Learning Center on Washington’s Diablo Lake. Activities for all ages offer a chance to learn about geology, glaciers, edible plants and how to paddle a canoe. No matter which field course you choose, you’re sure to come away with even greater incentive to explore – and protect – the magnificent natural places of our planet.